Blume Honey Water was launched in July 2016 and has been a healthy hydration hit in three metro markets with plans to go national. Blume was born from an ancient idea revived. Honey + Water were used at the very first Olympic games in ancient Greece. It purpose was to refuel and energize the athletes. We reinvented that idea by combining the finest responsibly source honey with fruits and spices to create three light and bright flavors. As a Co-Founder I am driven by a passion for creating healthy holistic products that provide more value to the consumer and joy in the experience interacting with the brand. 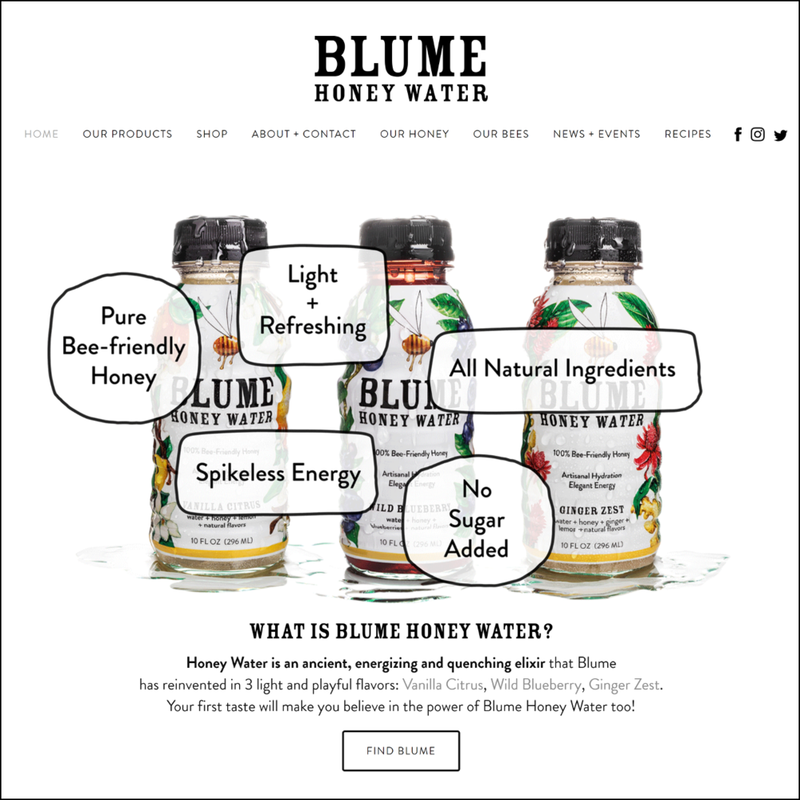 Blume Honey Water is delicious and purposeful as we not only want to provide a a healthy hydration alternative but we have a mission to save the honey bee. That makes me smile!